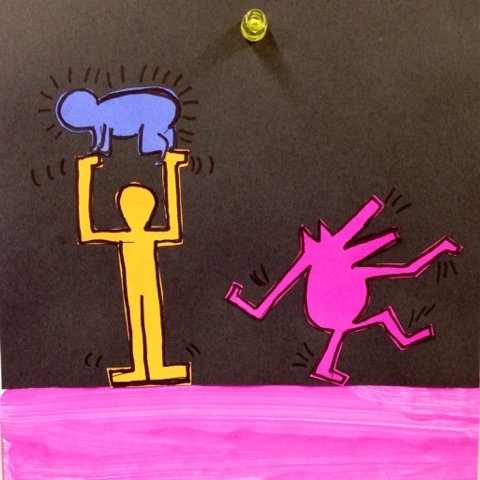 My fourth graders did an amazing job after my quick art lesson on Keith Haring. We used paint, construction paper and colored paper to create these works of art. Next time you're on our campus check out the hallway and I think you'll be impressed!